From about the last week of October (after we harvest the Wildflower Autumn Honey) thru April some of our hives are trucked to The Delmarva Peninsula to winter over in a milder climate and to get an earlier start in the spring than they would in Upstate NY. 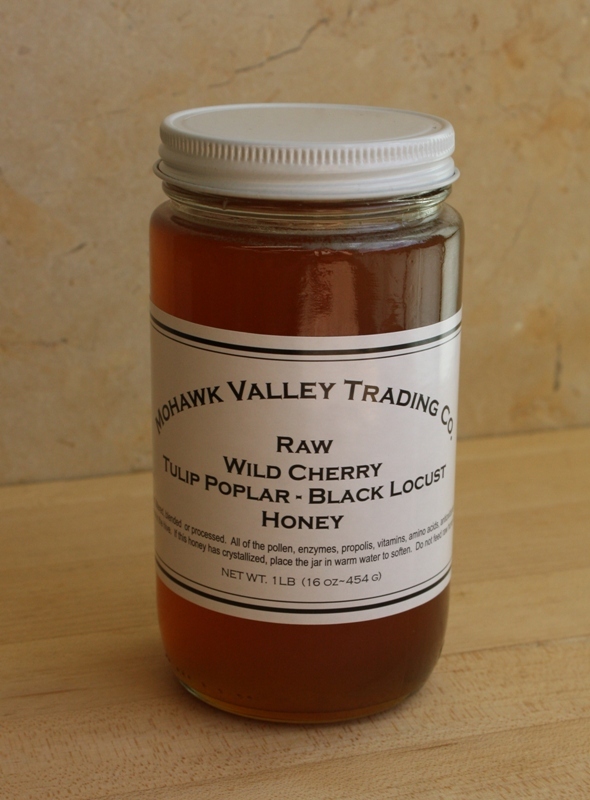 Wild Cherry, Tulip Poplar and Black Locust trees bloom about the same time down there and this honey is derived form the nectar of their blossoms with Wild Cherry dominating this particular area where we place hives. Wild cherry, (Prunus serotina), is a common name for species of cherries growing outside of cultivation that are also called black cherry, wild black cherry, rum cherry, or mountain black cherry. Wild cherry is native to North America and the fruit is often used instead of sweet cherries (Prunus avium) in recipes for a sharper taste. The wood is prized by woodworkers and is also used for cooking and smoking foods, where it imparts a distinctive flavor. Black Locust, (Robinia pseudoacacia), is a tree native to the southeastern United States that has been widely planted and naturalized elsewhere in the temperate zone of North America. It has an insistent growth pattern and extensive root system that discourages soil erosion.